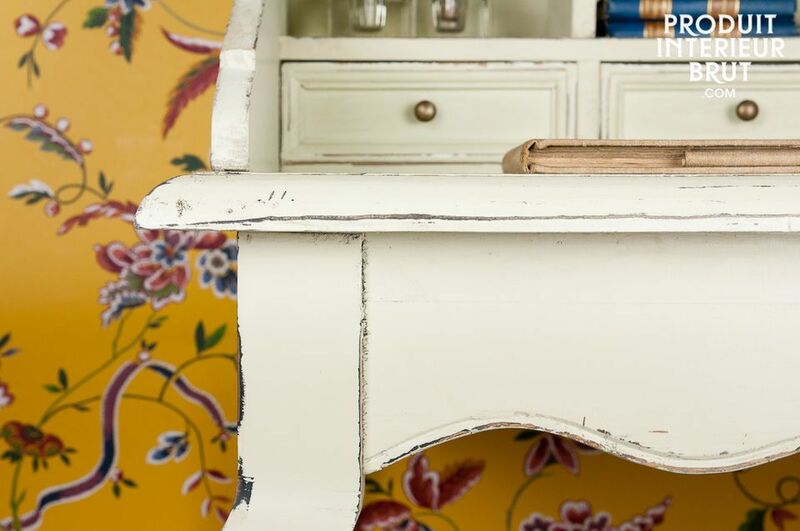 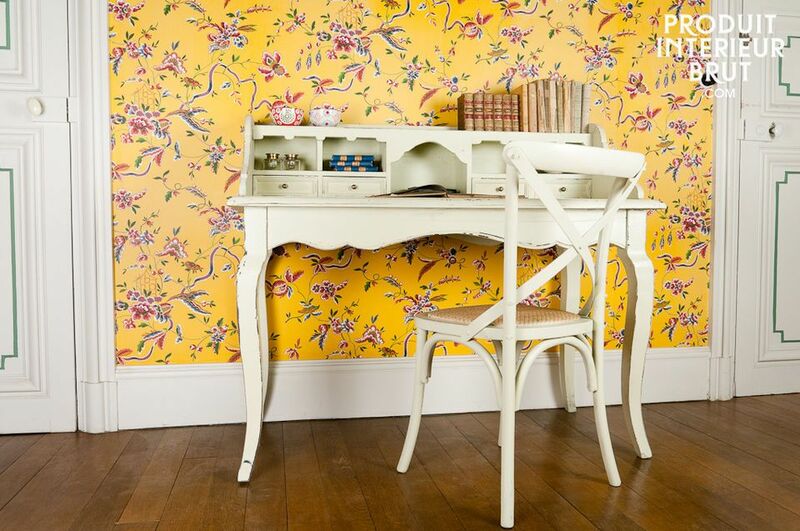 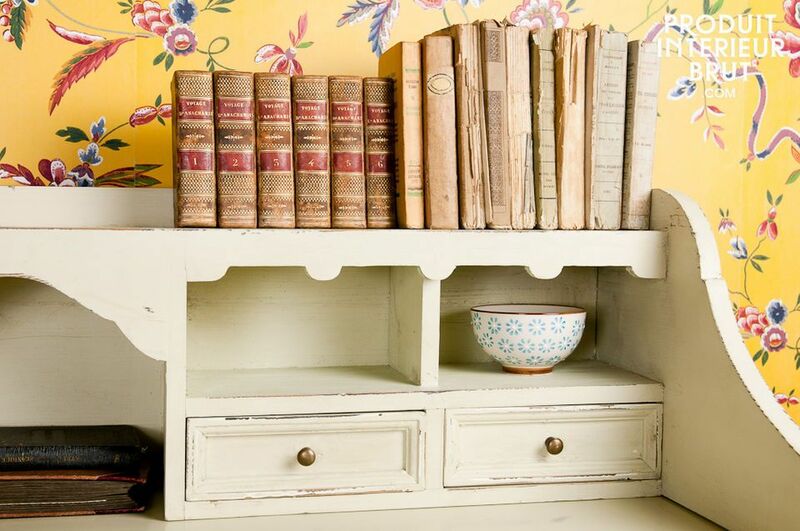 Use it as a dressing table in the bedroom, or writing desk in the living room, this piece will fit in with the decorating style of any of your rooms thanks to its shabby chic design that is full of country charm. 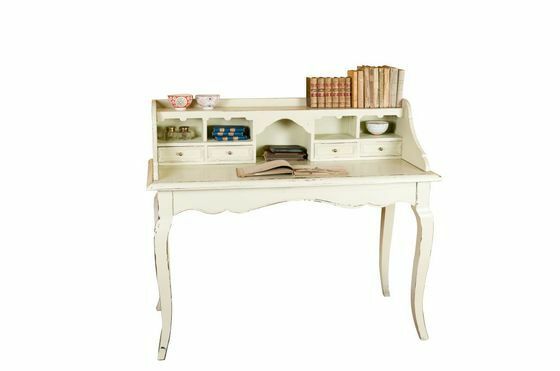 This writing desk is made entirely out of distressed cream solid pine, with wonderful curves. 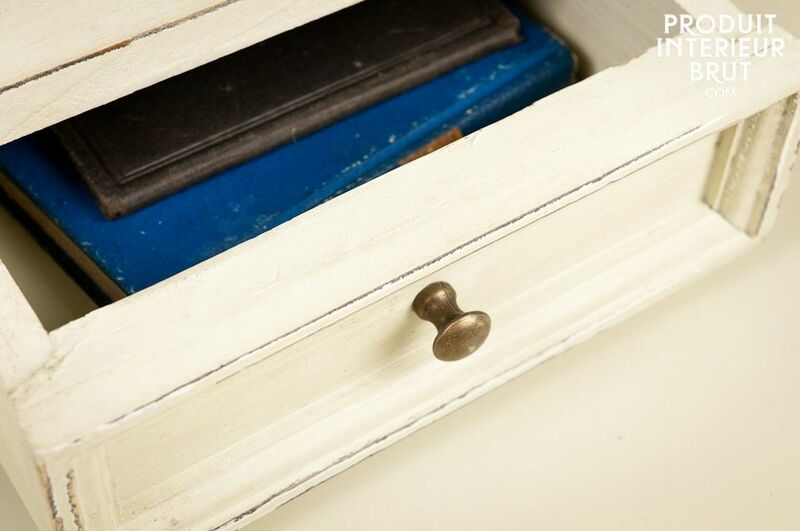 It has practical small drawers and pigeon holes for letters and small objects. 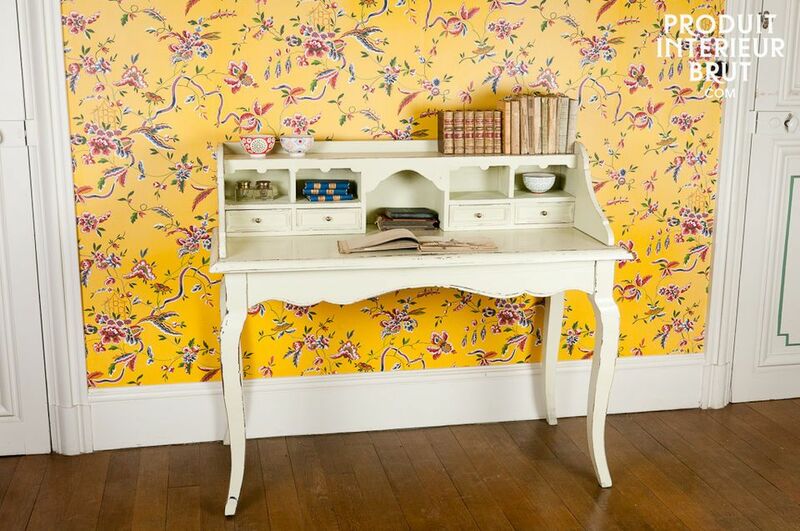 The top half can be removed should you need an extra table.